1. Trigger a crash, for example using the "Crash me!" add-on. 2. 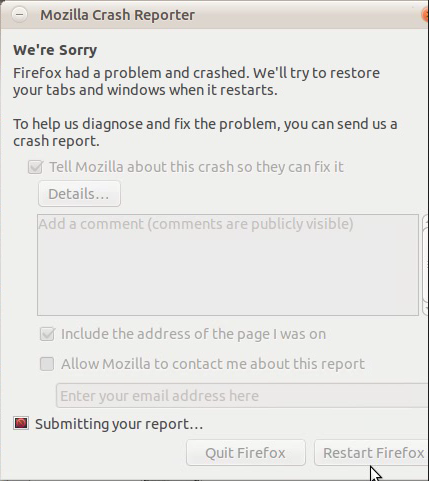 In the crash dialog, choose to submit the error report. 3. Choose "Quit Firefox" or "Restart Firefox", it doesn't matter which. What happens: "Submitting your report..." appears with a missing-icon icon. What should happen: "Submitting your report..." appears with a spinner or something.